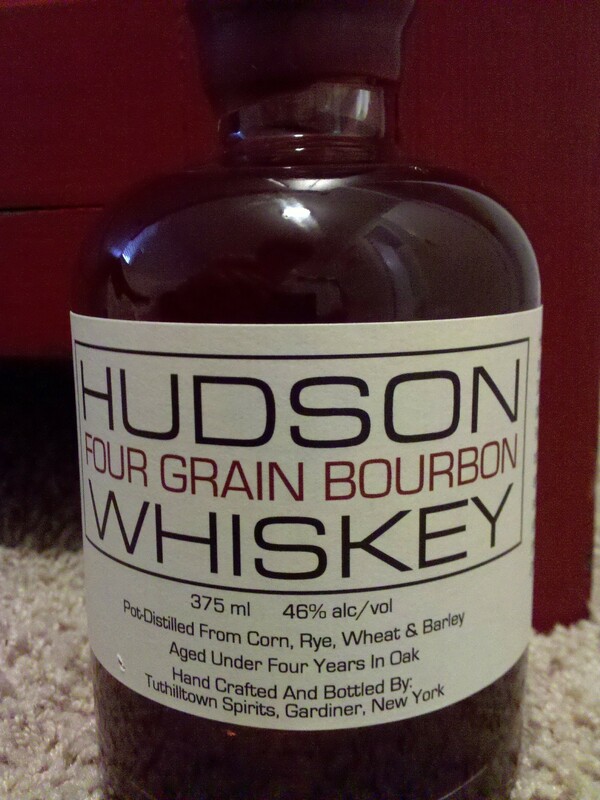 Notes: Hudson Four Grain bourbon whiskey brings together the distinct characteristics of corn, rye, wheat and malted barley. Each batch starts with 800 pounds of grain which is ground at the distillery, cooked and fermented, then distilled twice. It is aged in Tuthilltown’s signature small barrels. Each bottle is hand numbered, this bottle is Year 10, Batch 3, Bottle 639. Nose: Sweet corn and lightly spicey with a touch of raspberry. Finish: Somewhat “juicy” in texture. Soft hints of marshmallow to lightly toasted marshmallows from a campfire.